Designed to complement and enhance machine performance, our excavator buckets have a reputation for strength, durability and reliability. It stems from the quality workmanship and complete dedication that goes into producing every single product. 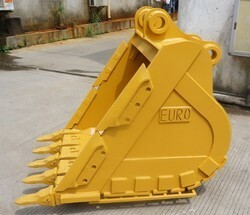 Our commitment to producing quality and reliable excavator buckets that could optimize machine performance. 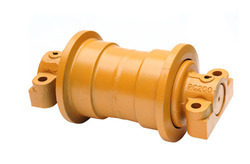 It is designed to minimize the additional pin-to-point distance gained when installing a coupler can help maximize excavator efficiency and versatility. 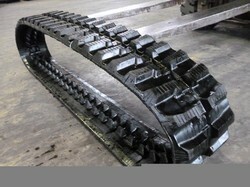 Providing you the best range of excavator track roller with effective & timely delivery. Highly polished shafts, heat treated tread and flange, Surface hardness and greater flange height are some of the qualities of the rollers, which are designed to complement machine performance. We are a distinguished organization engaged in offering Heavy Duty Bucketto our deemed patrons. 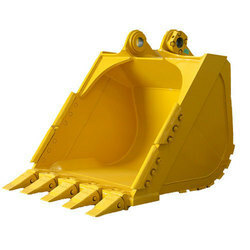 These are used in heavy duty vehicles used in construction of buildings, complexes and various other huge constructions. We also provide mini earth moving buckets. Our products are manufactured from superior grade raw material sourced from a certified vendor. These spare parts are offered at different dimensional specifications and are used in many automobiles as well as earth moving equipments and engineering machines. 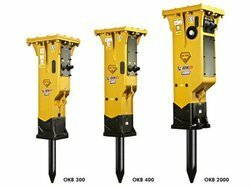 Team offers a complete range of Hydraulic Rock Breaker tools for various applications. All parts are manufactured from the highest quality alloy material, machined and heat-treated. It provide excellent properties for various applications in not just construction and mining industry but also quarrying and demolition industries. 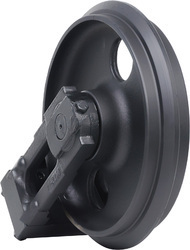 It is also made from special rubber for resisting shock and vibration in operation. 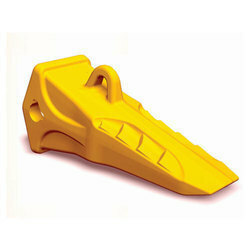 Our product range includes a wide range of excavator attachments. With our super long attachments, you can be ensured of an extended working range, with extreme long reach for dredging operations and slope finishing work at ease. 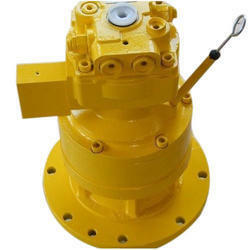 We are a unique name in the industry, devoted towards offering the best quality range ofExcavatorSwing Motor. We are one of the most reliable companies in this domain and are offering Excavator Travel Motor. 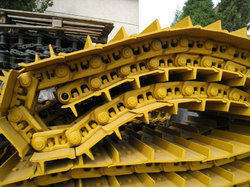 Track Shoe Assembly penetrate the ground giving the machine traction to move. Proper Track Shoe Assembly selection is very important for better machine performance and longer undercarriage life. 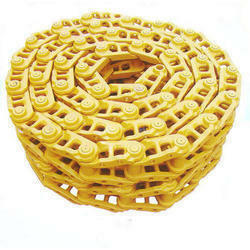 With firm commitment to quality, we are manufacturing and supplying Excavator Machinery Filters. All our products conform their accordance with international standards. Moreover, these can be customized as per clients' specifications and requirements. Before the final dispatch, these products are stringently checked by the quality analyzers on varied parameters to ensure their flawlessness. 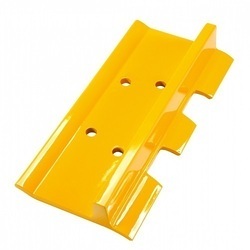 Our product range includes a wide range of track shoe plate. We have carved a niche amongst the most trusted names in this business, engaged in offering a comprehensive range of Excavator Undercarriage Parts, Track Shoe Plate. 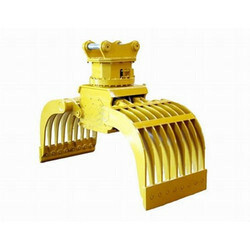 To furnish the various provisions of our respected clients, we are betrothed in presenting an exceptional quality ofMini Excavator Tracks, which is extensively utilized. Our product range includes a wide range of swing bearings. Team offers a wide range of excavator swing bearings that are of high quality and harder slewing rings for heavy duty applications. 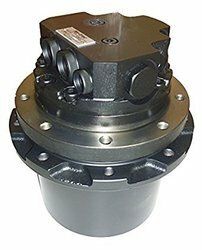 Our Swing Bearings handles a complex load spectrum that covers diverse combinations of radial, thrust and tilting moment loading. 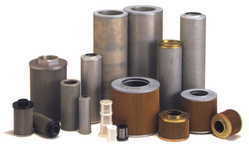 We are delicately engaged in offering a commendable range of Excavator Pin Bushes . Besides being manufactured from high-grade raw-material and latest technology, the offered products are inspected properly by our vendors' experts. Owing to features like durability and sturdiness, the offered range is exceptionally valued by our precious clients. The offered products are available with us in various sizes and at affordable prices. Designed to work in compacted soil, limestone, rock and coal. The customer’s requirements and the field experience are sure to sync with this masterpiece. 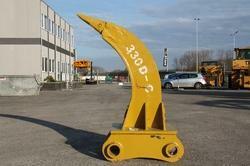 Offering you a complete choice of products which include excavator idlers. Supported by trained personnel, we are instrumental in presenting a comprehensive spectrum of Excavator Idlers . 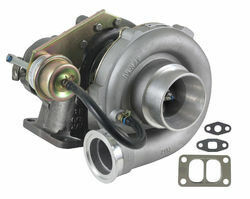 Turbochargers of a wide range of products which include cummins engine turbochargers, cummins diesel engine turbochargers, cummins holset turbochargers and cummins excavator engine turbocharger. 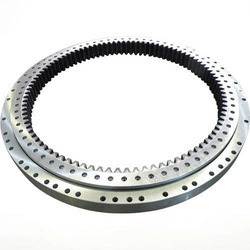 we offer excavator sprockets, excavator chain sprocket and mini excavator sprockets from India. With expertise in domain we come with wide range of Excavator Sprockets for our clients. We bring forth an extensive range of Tooth Points, which is widely regarded among the customers, we have. Looking for Excavator Spares ?